Even some of the most well designed, durable and latest garage doors can suddenly stop working. When that happens, it is natural to feel frustrated and stranded. But that’s where our garage door emergency assistance 24/7 comes in. At Elite Garage Door We Offer Garage Door Repair and Emergency Services. Our emergency services will arrive at your doorstep within minutes, ready to fix any problem. Our specialists come equipped with everything from the right tools, to the workforce and replacement parts. Which means that you don’t have to deal with any more frustration. 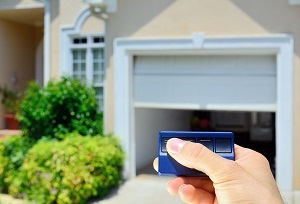 Our Emergency Garage Door Repair Service Is Always Available. Our Emergency Garage Door Repair Service is always available. It is perhaps the fact that we are always available which sets us apart from all other emergency services. We don’t waste your time by making you wait for hours. You’ll also not find yourself speaking to a machine because real people take your calls and note down the problem you’re having. Plus, our customer service specialists will dispatch the team nearest to your location. That way there is no time wasted from the moment we receive your call to the time our team arrives and starts working. When visiting your home or place or business, our goal is to complete the job. Regardless of if it is in the middle of the night or early morning, the goal is to repair the garage door completely, so you are not bothered by it again in the following day or a few days later. That approach often requires that we work more comprehensively which takes time and commitment from our team. However, in the context of a complete repair, it is quicker and cheaper because you don’t have to hire us again the next morning to complete the job. What’s more is the fact that at Elite Garage Doors we back our workmanship with a warranty. That warranty guarantees that we will do a good job repairing the garage door because if not you can call us again. Though we’ve never been called twice to fix the same problem. Unlike other emergency garage door repair services, ours is comprehensive. We will repair any problem whether it is a sticking opener, broken tension springs, rollers, our technicians will fix it. Our team makes no excuses for leaving you stranded because we are professionals. Additionally, each member of our team is duly certified with years of experience. In fact, our emergency services are manned by the most experienced team supervisors. So, the job they do is A+ quality! If you are in a situation where the garage door does not work for whatever reason, now is the best time to call us. The sooner you call us, the sooner our team can arrive at your home or place of business to fix the problem. So, contact our emergency services today.